Bartender, Dennis is a pro. He remembers what you drink and treats you like you are the only customer in the place. No one wants to mess with a good thing, which is why people were worried when chef Brian Hill said he was opening a pub in Rockport village in early 2010. Never mind that Hill promised to keep his infamous Camden bistro, Francine, intact and would actually somehow maintain a personal presence at each eatery. People were worried that two restaurants would be too much for the James Beard Award-nominated chef, but their fears so far have been for naught. Shepherd’s Pie has lived up to its promise of providing a more casual atmosphere than Francine, with a simpler yet no less delicious menu. (The crab tacos alone are sure to develop the loyal following that Hill’s steak frites have at Francine.) 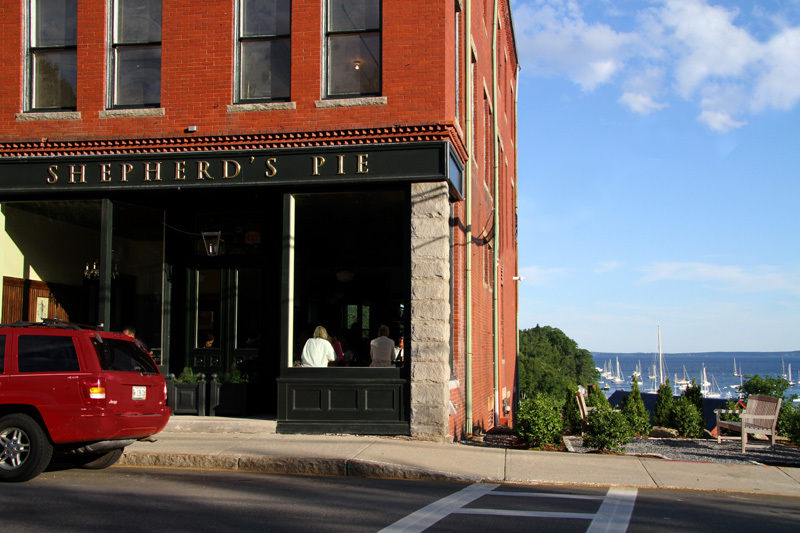 Even better for schedule-averse mariners, Shepherd’s Pie doesn’t accept reservations, so you can take your chances and pop by anytime (before 6 p.m. is best, if you don’t want to have to stand around and wait).